Nous sommes désolés, mais l'espace Classy event room with delicious food inside independent wine merchants in Wong Chuk Hang n'est plus disponible. 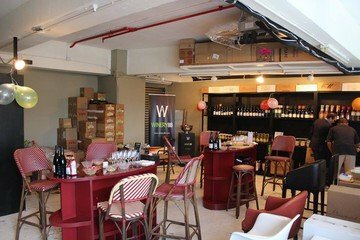 The Warehouse is a private event space inside the independent wine seller Winery 88, located in the up-and-coming area of Wong Chuk Hang on the southern edge of Hong Kong Island. 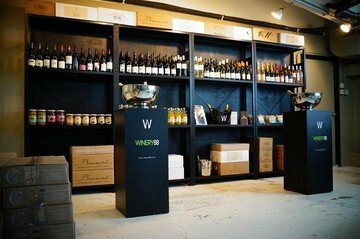 The Winery 88 imports and distributes wine to Hong Kong from high-quality vineyards all over the world. 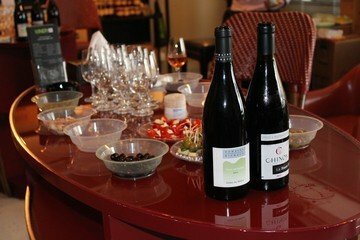 This premium location has potential for wine-tasting events, private work functions or birthday parties. The Warehouse has a capacity of up to 60 guests and serves delicious finger food dishes, cold platters, salads and cheeses in a sophisticated yet informal environment. The option of live music is also available for private events. The area of Wong Chuk Hang has transformed itself in recent years from a grey industrial suburb into an alternative lifestyle hub, offering a great selection of bars, independent shops and creative spaces.